Online sales not hurting auto dealers yet. 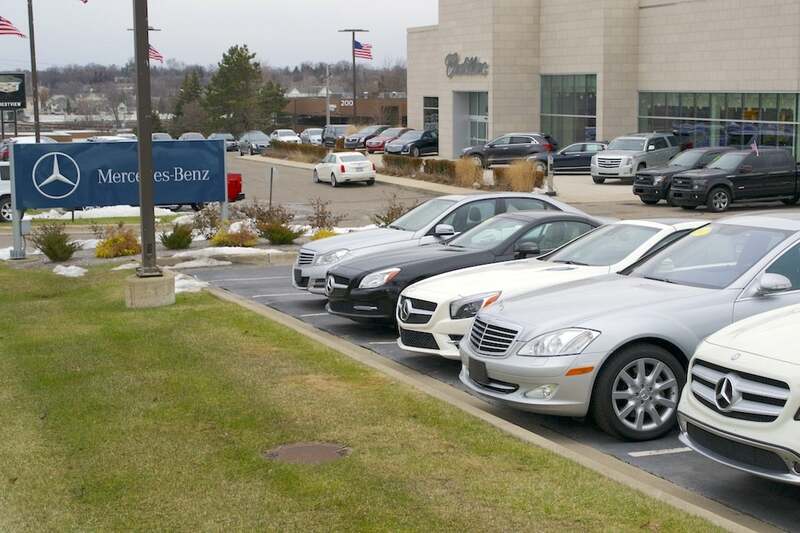 Auto dealership levels are virtually unchanged year-over-year, according to a new report. Urban Science released statistics and insights today from its 2018 mid-year Automotive Franchise Activity Report, indicating continued stability in the number of automotive dealerships in the United States. As of July 1, 2018, there were 18,252 dealerships (rooftops), a 0.2% increase from the Jan. 1, 2018, total of 18,213. The number of franchises, or brands a dealership sells, also experienced a period of stability, slightly decreasing from 32,029 on Jan.1, 2017 to 32,024 as of July 1, 2018. Despite the shrinkage of “brick-and-mortar” retailing that has emptied shopping malls across the country and threats from online sales, car dealerships, the centerpiece of automotive retailing are holding their own, according to a new study by Detroit-based Urban Science. “Since 2010, the dealership network has set a new normal pattern of stability,” said Mitch Phillips, Urban Science’s Global Director of Data. The data shows that 98% of local markets had virtually no net change,” Phillips said. “Sales throughput for dealers is defined as the number of sales divided by the dealer count,” explained Phillips. Phillips added with a stable dealer count, the “throughput” record is controlled by the sales volume. With the current range of 2018 sales forecasts being slightly less than 2017, sales per dealers is forecasted to fall around 11 units to 937 units, he added. Founded in 1977, Urban Science is a global retail consulting firm that takes a scientific approach to help companies identify where they should allocate resources in order to increase their market share and profitability in the most effective and efficient manner. It now serves a global clientele from Spain, United Kingdom, Germany, Italy, France, Australia, China, Mexico, Russia, Japan, India and Brazil as well as the United States. This entry was posted on Friday, August 10th, 2018 at and is filed under Automakers, Automobiles, Business, Markets, U.S./North America. You can follow any responses to this entry through the RSS 2.0 feed. Both comments and pings are currently closed.